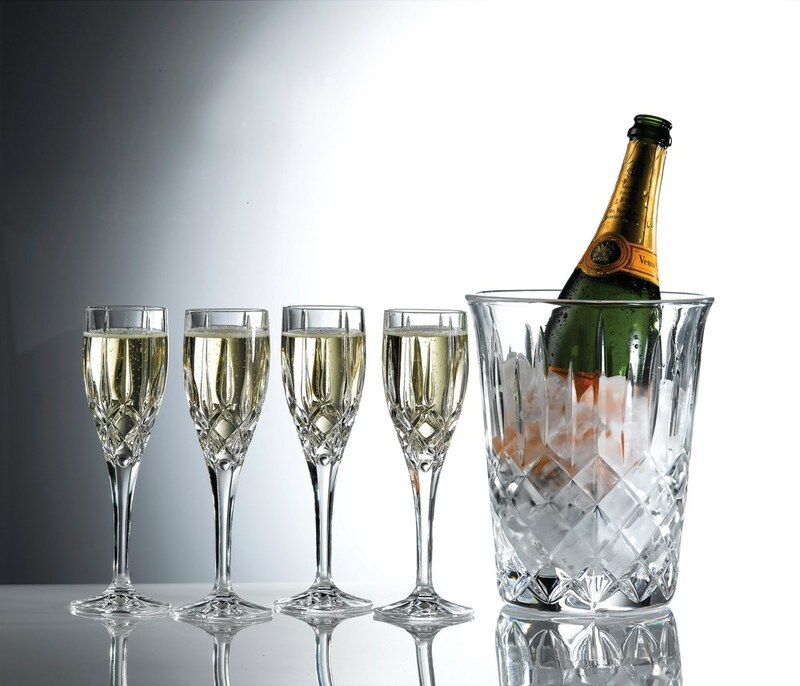 Nothing beats a bubbling class of ice cold champagne, and this Ice Bucket with Champagne Flutes is the perfect vessel to serve your favourite vintage in. 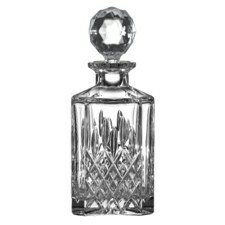 Please note, only the Ice Bucket will be engraved for personalisation purchases. 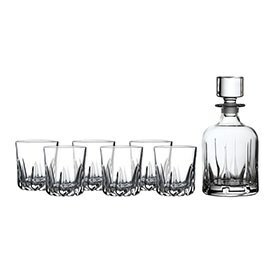 Characterised by boldly cut designs and a perfect polished finish, the Decanter Sets by Royal Doulton are the perfect vessels to store and serve your finest liqueurs. 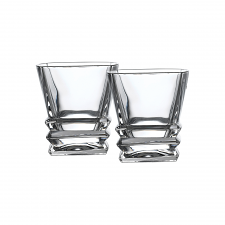 Nothing beats a bubbling class of ice cold champagne, and this Ice Bucket with Champagne Flutes is the perfect vessel to serve your favourite vintage in. 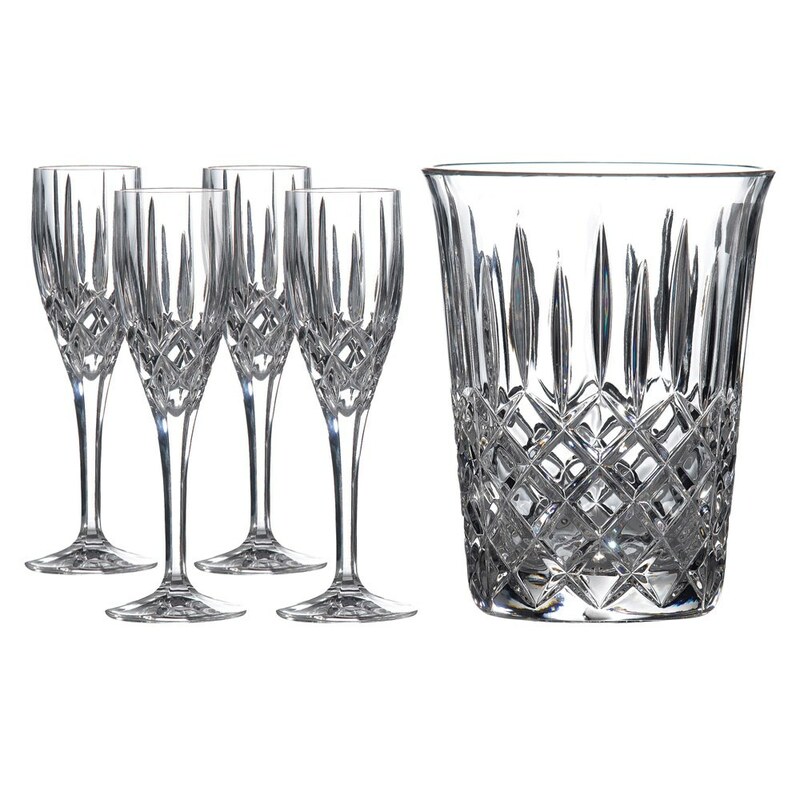 This stunning Champagne Set includes an Ice Bucket 1.2L and set of 4 Flutes 150ml. 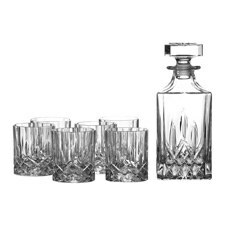 Beautiful crystal set. Old favourite of mine.